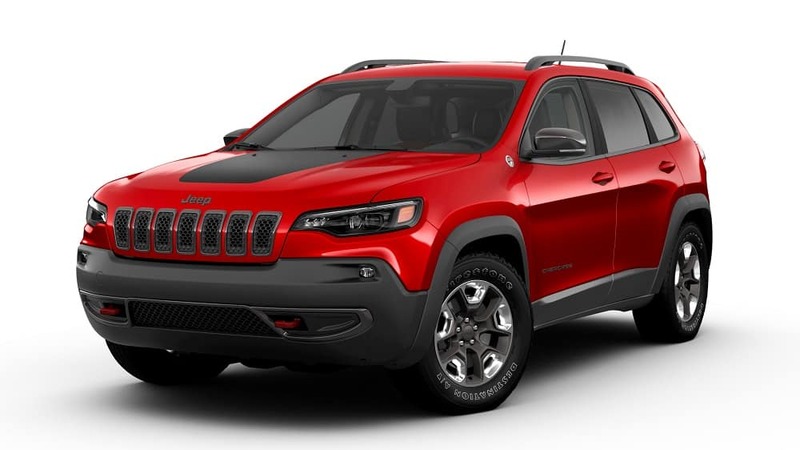 The Jeep Cherokee has been a favorite among SUV drivers in the Plantation area for many years. This is not only because it’s powerful and reliable, it’s also packed with features that make both commuting and exploring an exciting adventure. In this review, we at Massey Yardley CDJRF will introduce you to what the new Cherokee has to offer when it comes to performance, interior space, and technology features. Let’s get started by taking a peek under the front hood! Working alongside these engines is one of two transmission options, one of three intuitive 4×4 drivetrains, and an available Jeep Selec-Terrain® Traction Management System. Use the latter system to switch between five different drive modes to cater to your driving conditions. Choose between Auto, Sport, Snow, Sand/Mud, and available Rock. The interior of the Jeep Cherokee offers plenty of space for both passengers and cargo. You’ll have five spacious seats to work with – the front two seats will enjoy 41.1 inches of legroom while the back three will have 40.3 spacious inches of legroom to stretch and get comfortable. On top of all this space for your passengers, you’ll also have 24.6 cubic feet of cargo space to use with all five seats in place. However, this model is equipped with 60/40 split-folding rear seats. Put one, two, or three rear seats down to take advantage of the Cherokee’s expansive 54.9 total cubic feet of cargo space. Inside the Jeep Cherokee, you’ll find much more than just a spacious amount of room. This model offers a wide range of helpful technology features staring with a standard Uconnect® 4 infotainment system that comes with either a standard 7-inch or a larger 8.4-inch touchscreen display. 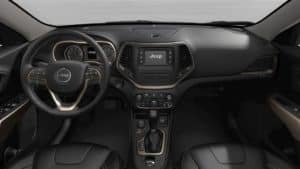 With this system, you’ll get all kinds of handy connectability features including Bluetooth® wireless connectability, smartphone integration via Apple CarPlay® and Android Auto™, and even an available built-in 4G LTE Wi-Fi hotspot. The Cherokee doesn’t stop there, though. Upgrade your infotainment system to the available Uconnect® 4 NAV and you’ll have turn-by-turn directions right at your fingertips. Get Behind the Wheel of the Jeep Cherokee! Now that you have a better idea of what the Jeep Cherokee has to offer, we hope you’re ready to get behind the wheel for a test drive at Massey Yardley CDJRF. Shoppers in the Plantation area should give us a call today to schedule a test drive! 1 Based on EPA estimated 22 city / 31 hwy mpg with 2.4L engine and nine-speed automatic transmission, 4×2. Actual mileage may vary. 2 Based on EPA estimated 21 city / 29 hwy mpg with 2.4L engine and nine-speed automatic transmission, 4×4. Actual mileage may vary. 3 Based on EPA estimated mpg with 3.2L engine and nine-speed automatic transmission, 4×2. Actual mileage may vary. 4 Based on EPA estimated mpg with 3.2L engine and nine-speed automatic transmission, 4×4. Actual mileage may vary. 5 Based on EPA estimated 23 city / 31 hwy mpg with 2.0L engine and nine-speed automatic transmission, 4×2. Actual mileage may vary. 7 When equipped with Trailer Tow group or Trailer Tow Prep Group. See dealer for details.